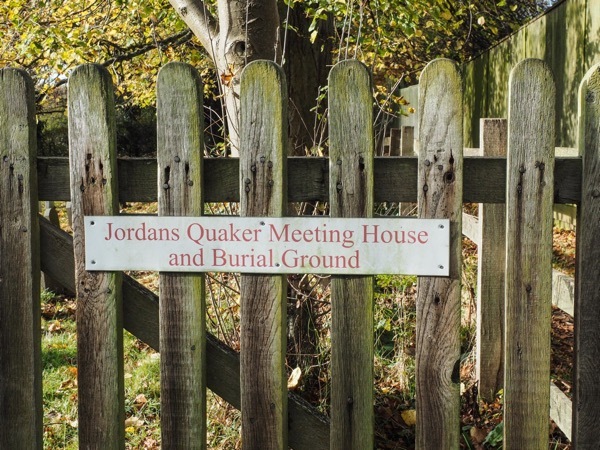 Jordans Quaker Burial Ground was established in 1912 when 2 Area Meetings (now known as North West London and London West) bought land next to Jordans Meeting House for use by their Members. The first burial took place in 1914. 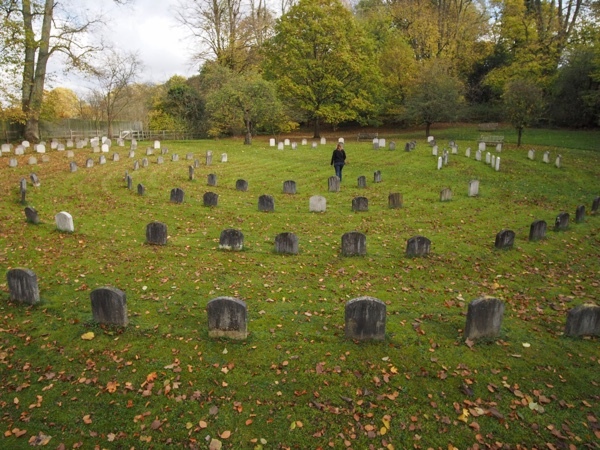 Chilterns Area Meeting was allowed to begin using the burial ground in 1946. In 1937 the Quaker architect Hubert Lidbetter planned the unusual circular arrangement of the graves to reflect the seating at a typical Quaker meeting for worship. Lidbetter had already designed several meeting houses, as well as Friends’ House, the Quaker headquarters in London. 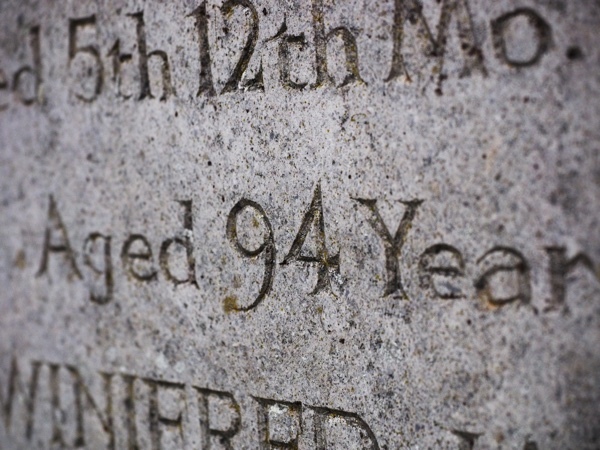 He also designed the Jordans headstones and typeface that are still in use today and reflect the Quaker belief in equality, as well as giving the burial ground a unified look.